Home > Episode 1,559: Star Wars: A Future Without the Force? Episode 1,559: Star Wars: A Future Without the Force? Once is an accident; twice is a coincidence; three times is a conspiracy. The three most recent blocks of Star Wars storytelling are mostly free of Force-user influence. Is the future of Star Wars a future without Jedi and Sith, without the overt use of the light side and dark side of the Force? Punch it! 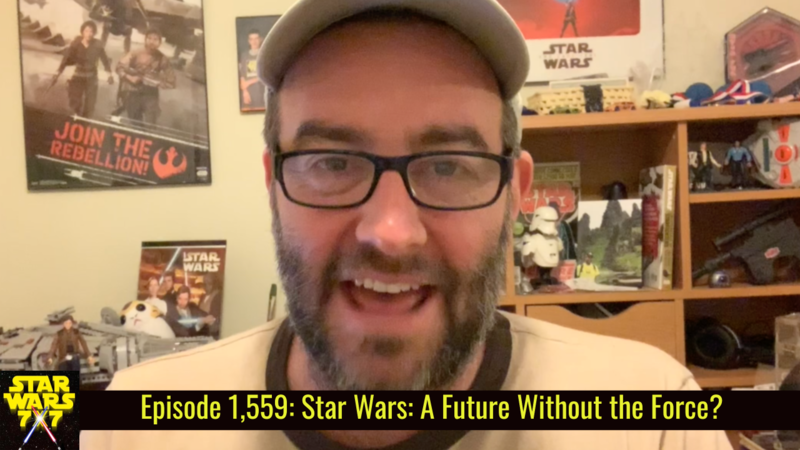 Next Post: Episode 1,560: Where Is the Money Coming From in Star Wars Resistance?